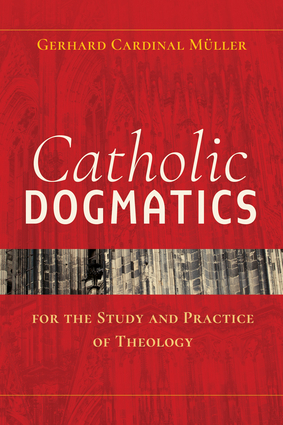 Catholic Dogmatics is the definitive text on the structure of Catholic dogmatics, written by one of the most important authors in the Catholic Church today. The author is highly placed in the Vatican hierarchy. Cardinal Mueller oversaw the collected writings of Pope Benedict. The book will enhance both the scholar's and lay reader's knowledge of dogmatics. Since 1990, Gerhard Cardinal Müller has been a member of the Commission for Doctrine and Faith of the German Bishops' Conference. He was also a member of the International Theological Commission from 1998 to 2003. In 2008, Cardinal Müller founded the Pope Benedict XVI Institute in Regensburg, Germany and, in 2012, Pope Benedict nominated him Prefect of the Congregation of Faith, entrusting him with the publication of his Collected Writings. Pope Francis created him Cardinal in 2014.